From ShanOre Irish Jewelry, this brilliantly designed bead in sterling silver and green enamel is a combination of style and spirituality. For many centuries it has stood for the symbol of good luck and spirituality and has been one of the well-known symbols in Irish culture. The leaf stands for the concept of the Trinity: Father, Son, and the Holy Spirit which was first demonstrated by Saint Patrick. It is also connected with mystic powers and claimed to have healing powers that can cure and heal the finder. In many ancient tales in Ireland, the leaf of shamrock has also been a symbol of rebellion standing for what is righteous and true. 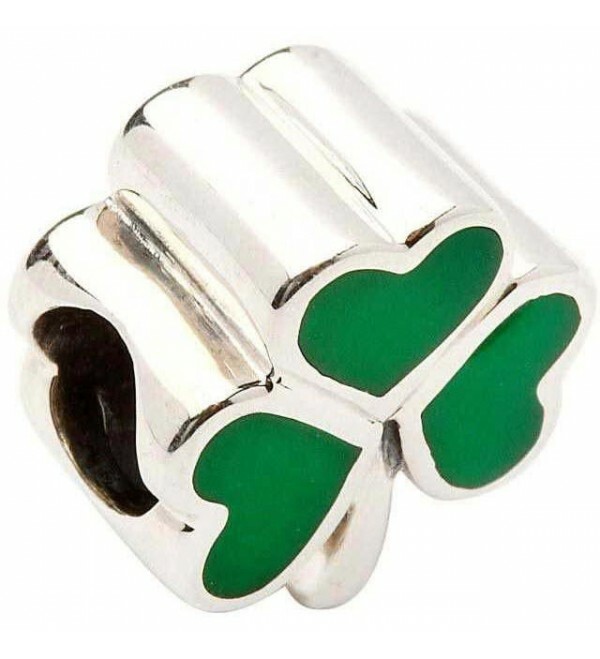 This sterling silver shamrock bead with green enamel is a must have for those who believe in the mystic powers of the shamrock and the concept of the Trinity that it stands for in the Irish culture.